“There is no democracy in the party - every single decision made is made by Pauline Hanson." 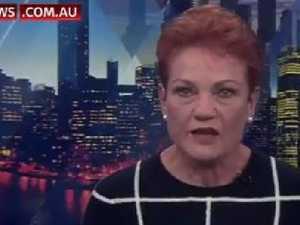 Politics ANOTHER One Nation senator has quit the party after a bitter war of words that will no doubt crush Pauline Hanson. Politics PAULINE Hanson’s One Nation has just two federal members, with Brian Burston resigning due to a lack of “democracy” in the party.